Description: Viewpoint of vehicle and driver being passed by a truck towing a cargo trailer on Interstate 40 in Acoma New Mexico. Point of view driving shot of flat 2 lane highway with other traffic. 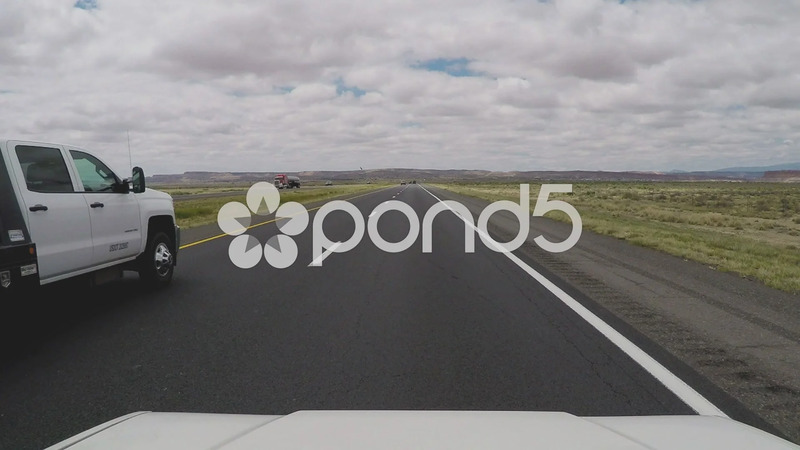 Part of a series of clips by ChromaVid featuring point of view driving stock video.